Soft materials include polymers, colloids, gels and amphiphiles. Due to their structural properties these materials find application in a wide range of technologies. Controlling the structure and morphology of soft materials requires an understanding of the thermodynamic and kinetic pathways which govern their formation. We aim to obtain this information using a combination of analytical techniques, with a strong focus on liquid phase and cryogenic electron microscopy. LPEM provides real-time direct information of nanoscale processes such as self-assembly, nucleation and growth and particle-particle interactions. Continued development of this technology is essential for providing information on the currently unknown processes which govern material formation. This includes innovations liquid cells, sample preparation, data acquisition and data processing. With these advancements we aim to visualize the dynamic processes which govern material formation. CryoEM provides high resolution two and three dimensional structural information on materials in liquids. Using time resolved sampling it is possible to trap transient structures for high resolution inspection and accurately map out the structural landscapes of materials as they form. We aim to combine this information with the direct kinetic information from LPEM to provide combined data-sets with quantitative information on how and why materials form. 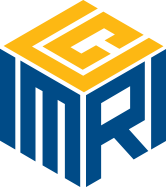 The UC Irvine Materials Research Institute (IMRI) is among the world’s leading centers for the characterization of materials. It serves as an interdisciplinary nexus for the research and development of engineered and natural materials, systems and devices. The institute supports the highest-performance transmission electron microscopes available today, offering researchers a powerful tool for looking at the structure of matter – from millimeter to subatomic length scales – and revealing the functional properties of materials.